From the compilation: Afrobeat Airways 2 - Return Flight to Ghana 1974-1983 Release Date: September 17th, 2013 (click below for promotional pictures and additonal information) bit.ly/15AR6bg From the coastal cities of Accra and Cape Coast, basked in a tropical sound heavily influenced by highlife, to the semi-Saharan cities of Tamalé and Bolgatanga (part of a self-proclaimed ‘Islamic Funk Belt’) via the central city of Kumasi, Analog Africa (analogafrica.blogspot.com/) has criss-crossed Ghana in search of rare tracks, part of its ongoing, hard-grooving mission to bring the soul, funk, and vintage local pop out of obscurity and into its deserved international place. Building on the success of the first installment in 2009, Afrobeat Airways 2 (Analog Africa; release: September 17, 2013) is a selection of 13 ultra-rare tracks by some of the musical giants who had created a movement that rocked the West African nation throughout the ‘70s: legendary singer K. Frimpong; Nana Ampedu (leader of the mighty African Brothers Band); Gyedu-Blay Ambolley and his superb guest appearance with The Complex Sounds; afrobeat star Ebo Taylor, backing his son in an unreleased track called ‘Children Don’t Cry’; the enigmatic Rob and his unique blend of twisted afrofunk; innovative drummer De Frank; and Uppers International, with their raw Islamic funk style. More obscure artists such as Los Issufu and his Moslems, Waza Afrika 76 and Tony Sarfo and his Funky Afrosibi make northern hemisphere debuts, adding to a rich list of Ghanaian artists whose music could be transferred seamlessly to any dancefloor in the world. As with all Analog Africa releases, this is about more than just the sounds. It’s about the place, time, and people who shaped the scene. 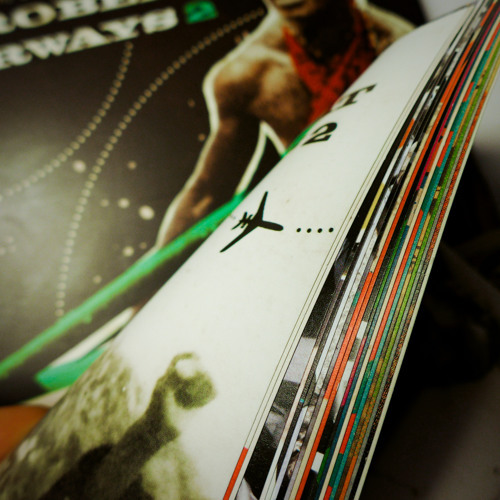 To document this, the accompanying 44-page booklet of Afrobeat Airways 2 features an introductory essay written by Afropop Worldwide editor Banning Eyre, exploring the development of soul, funk and afrobeat during the ‘60s and ‘70s in Ghana. The remaining 30 pages are packed with interviews and biographies of the artists and producers involved in the creation of this wonderful music. Additionally, the Analog Africa team have managed to track down the photographers of the famous Modern Photo studios, located at the front of Accra’s legendary TipToe, a venue notorious for organizing unforgettable dance competitions, ‘Miss Tip Toe’ contests and the most in-demand highlife and afrobeat gigs of the day. 400 negatives have been lent to the Analog Africa team. Samy Ben Redjeb selected 50 of the most expressive pictures to document this little-known but striking musical scene. We're feelin' all funked up from this, THANKS!!! Great music from the ghana massive! Depth of Gratitude to Hidehito Morimoto and Vikram Sohonie!!! !